The intricate metalwork seen here is Italian Byzantine design at its best. Covered in 18K yellow gold, the traditional woven design crescendos slightly at the center for a breathtaking performance. When I saw the exquisite result, one name, and one name only came to mind. Aria, which is Italian for ‘air’ and of course a striking solo musical performance. 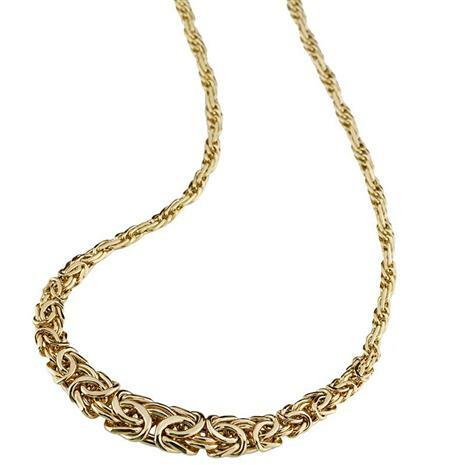 Our Aria Necklace has mastered its role beautifully. Not only will it draw rave reviews, it won’t weigh heavy on your wallet.